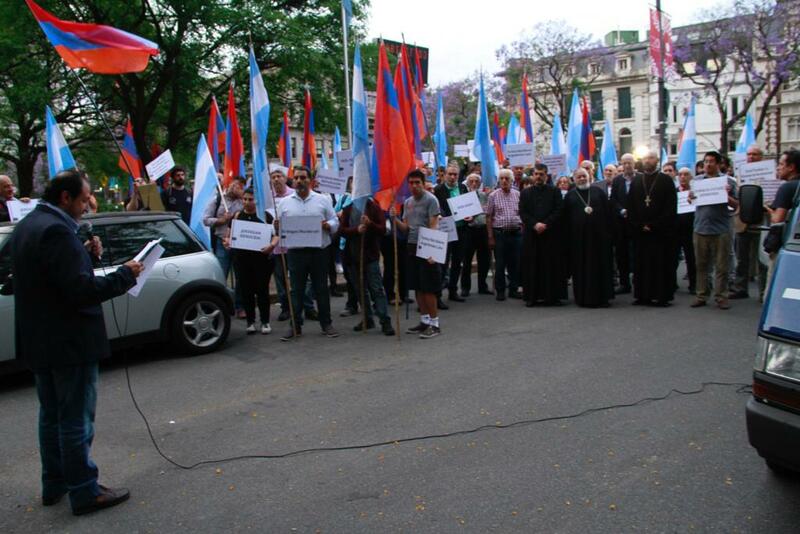 The Armenian community of Argentina held a demonstration to repudiate the President of Turkey, Recep Tayyip Erdogan, in front of the residence of the Turkish ambassador in the country on monday afternoon. 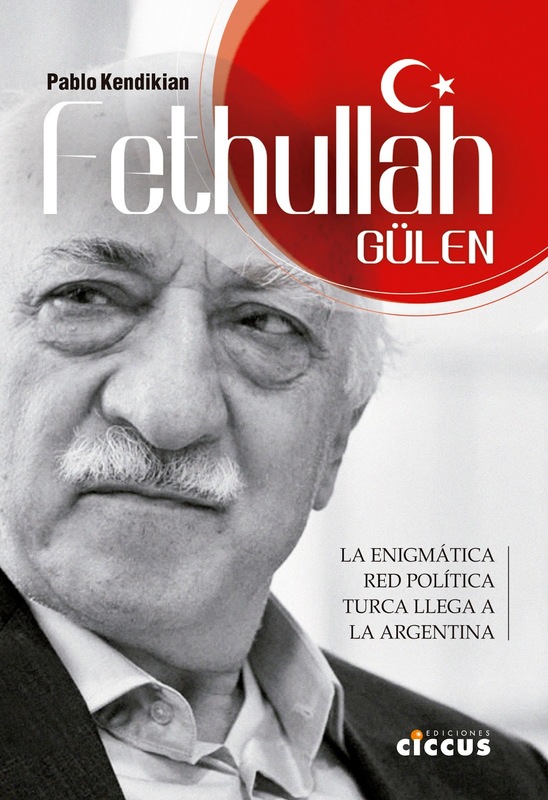 Erdogan will travel to Argentina in the coming days to participate in the G20 summit. 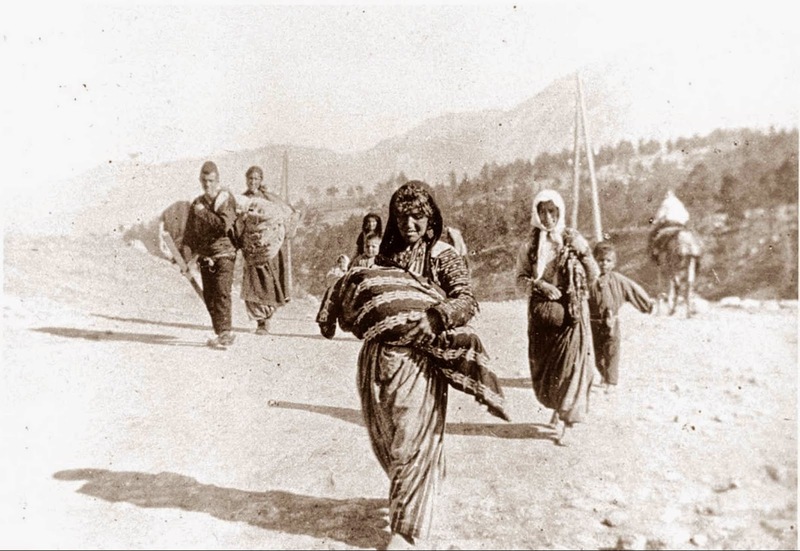 "Erdogan is the head of a state that maintains a state policy of denial and non-recognition of the Armenian Genocide perpetrated by the Turkish State between 1915 and 1923. In addition, it keeps its border with Armenia closed with the precondition that the conflict over Artsakh (Nagorno-Karabakh) would be resolved in favor of Azerbaijan. 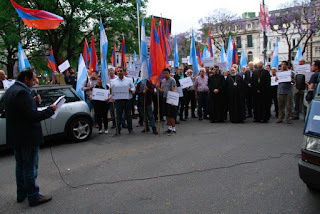 It should be remembered that Argentina formally recognized the Armenian Genocide by the three branches of the state," denounced Eduardo Costanian, representative of the Armenian Institutions of the Argentine Republic (IARA), which coordinates all the institutions of the community. The Primate of the Armenian Apostolic Church for Argentina and Chile, Archbishop Kissag Mouradian, also asked for the recognition of the genocide and called to pray for Erdogan to review the internal situation of his country. 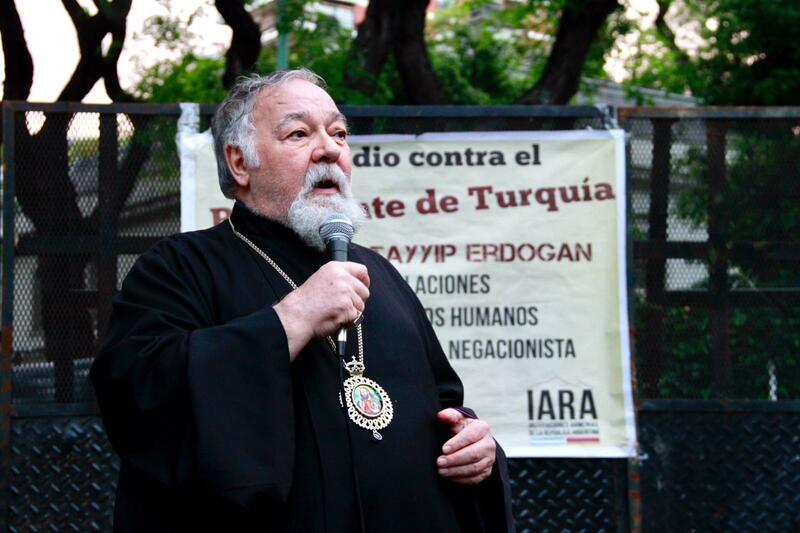 The persecution suffered by minorities in Turkey, especially the Kurds, was also recalled: "Members of the People's Democratic Party are systematically harassed by the Erdogan regime, while their leader, Selahattin Demirtaş, is being held prisoner since 2016. Political persecutions also reach activists and human rights defenders: the images of the police repression against the Saturday Mothers were seen throughout the world," said Costanian. "Turkey is among the countries that least respect freedom of expression. Since 2009 Erdogan is one of the 33 'predators' of press freedom according to Reporters Without Borders. 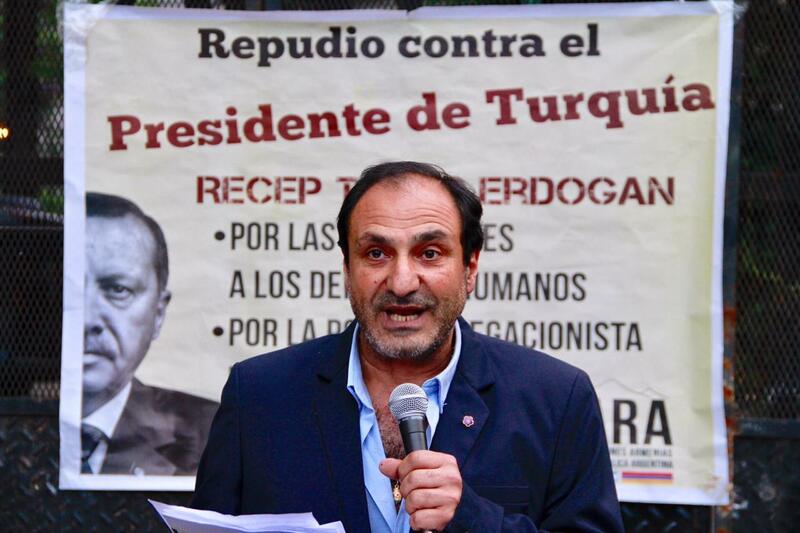 The failed coup against his regime opened the door to a hunt since 2016, and they have already closed some 120 media outlets and more than 200 journalists imprisoned, which made Turkey the largest prison for journalists in the world," he added. 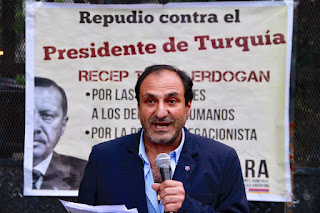 "The repression of the Erdogan regime reached the United States itself: in 2017, when the president traveled to meet with President Donald Trump in the White House, his advisers and bodyguards attacked American demonstrators. 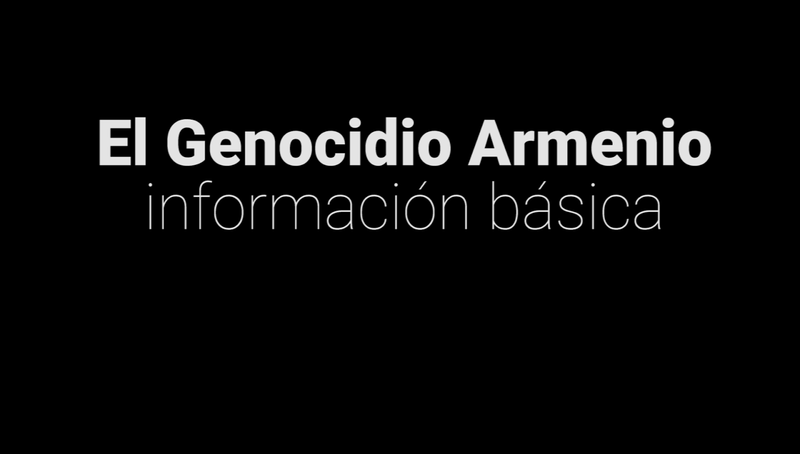 Something similar happened during his visits to Chile and Ecuador."